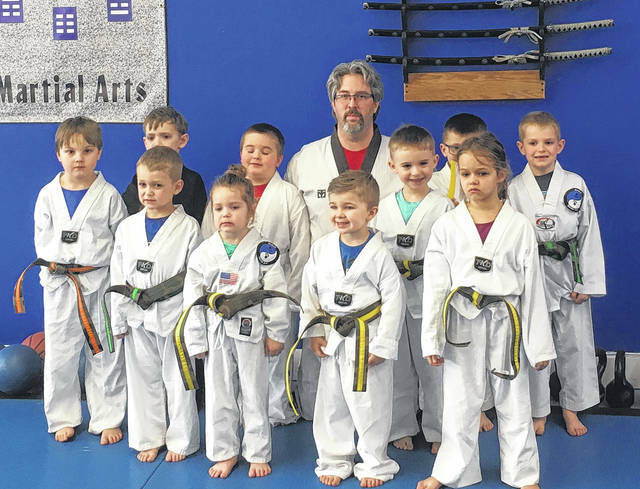 Wolfpak Martial Arts recently promoted Cub class students. Pictured are, back row (l-r): Killian Van Romer, Galen Wright, Justin Bowersmith, Master Sam Wolf, Tristan Casto and Mason Fitzpatrick. Front row: Owen Kirkpatrick, Katie Kirkpatrick, Leland Meade, Gaven Harris and Nadea Carter.